Here are some early screenshots of the course! 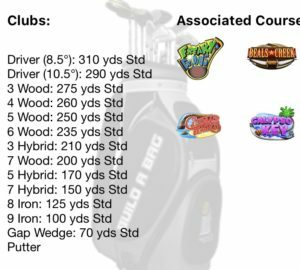 Here is the official preview of the new 2019 Big Spring, Texas course. 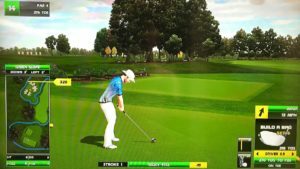 Here is a 6-hole preview and discussion from the Golden Tee lounge! GT Par is most commonly -29 or -30 here, depending on if #1 is drivable. 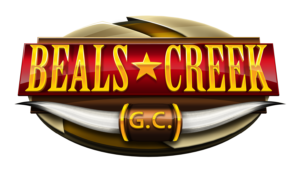 This post contains tips, tricks, and information related to the 2019 Golden Tee course Beals Creek! Check out the hole-by-hole breakdowns and example hole-outs as I partner up with the Golden Tee community to give you the edge you need to beat your friends! 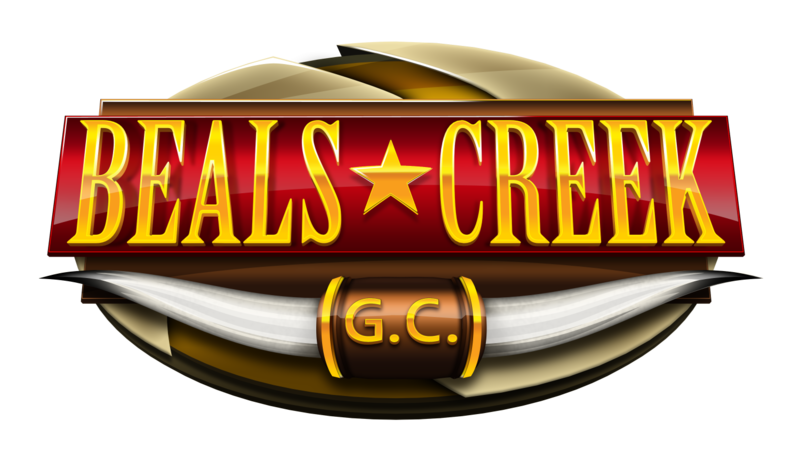 Check out this podcast (itunes) (anchor) which breaks down each hole on Beals Creek offering advice to improve your game, but also know that I have listened and accounted for this advice in my hole write-ups already! 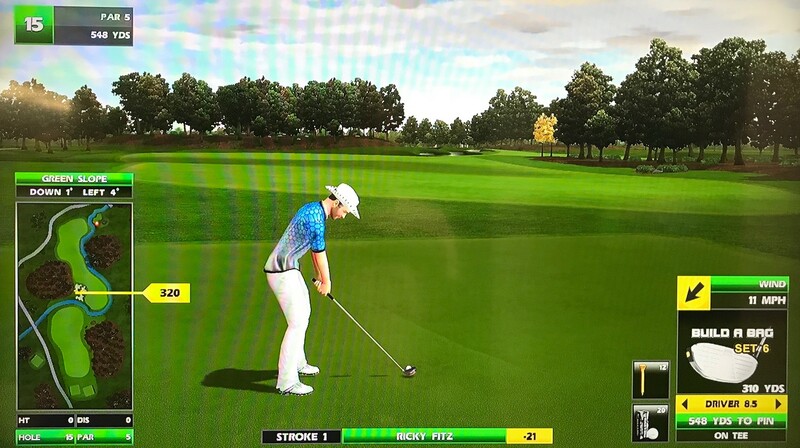 From the front box, this hole is usually drivable – here’s a high-teed driver straight at it for the ace. And here’s a big C3 that gets it done too! From the middle box, it can still be worth it to attempt a big drive to get up in the sand for a chip at eagle. Not much to this one – no reason not to just lay back in the first fairway and bring in your approach. You could drive to the second fairway but the extra distance doesn’t offer you much here. Over time, you might just find a spot that leaves you with your favorite club on the approach. Unless most early-round par 3s, you can’t take this one for granted…carry is important to get up onto the green because of the short wall in front. 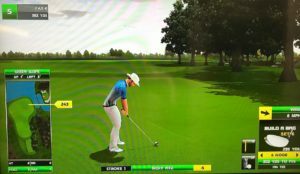 So, you can’t be too aggressive may times, and bite is often good to settle in for your birdie putt. This 6-wood just clears from the back box to ace a front pin. From the middle-right box, this 2-iron finds the hole. There’s a new tee box up to the right from only about 90 yards — here’s an ace from there. 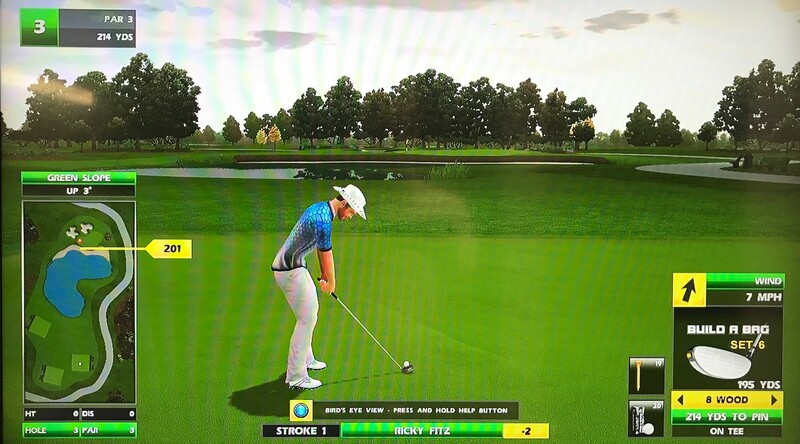 With most setups, you can blast over the water to the left side of the second fairway for a clear approach. Even being in the rough here is fine and will leave your club with enough distance to get there. With really bad setups, you might want to read the pin placement. 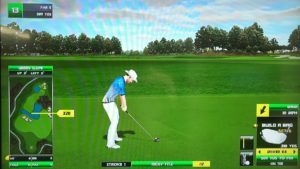 Laying up to the left side of the first fairway is fine if the pin is on the left. 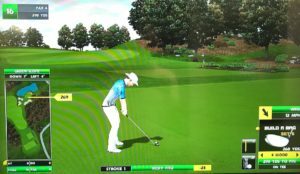 If the pin is tucked on the right, you may want to consider laying up to the right side of first fairway for 350-yard A1 second shot instead. 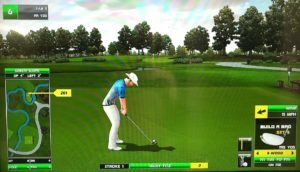 From the front-half of this box, you can usually take straight aim at the green…look for a little dip in the tree line and play something like a high-teed 5-wood right at it. From the back half of the box, you’ll play between an A1 and A2 shot around/over the trees into the green, usually with a high tee (3W or 4W most often). This is a tough shot because you have to be long enough (short is water), but you can’t really stop your ball once it lands on the green. 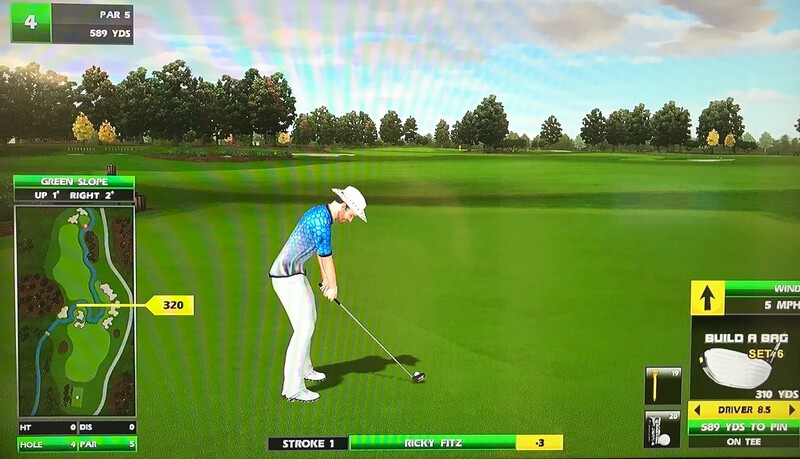 With front pins, you often hvae a lengthy putt back at the cup, but that’s a successful tee shot! From the left-center, here’s a high-teed 4-wood curved around for the dunk! There’s a new box out left making this approach easier, although you still might want to cut into the pin with certain setups…here’s a great 5-wood worked into a right pin. There are a couple different boxes here, both over water…it’s not the widest green so you’ll still want to take a little time here to ensure you stick it. From the left box, this 5-hybrid spins back into a front pin. From the back-right box, you should always be hitting a high-teed 10.5 driver with a full A1 into the second fairway…the combination of distance and elevation takes any trouble from trees or water out of play. From the other two tee boxes, you’re just blasting your drive out into the second fairway however you like best. 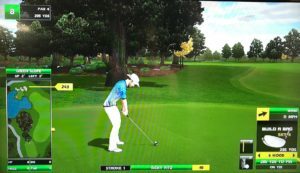 No reason not to have a decent approach shot for eagle here. Here’s a hole-out from the second fairway. 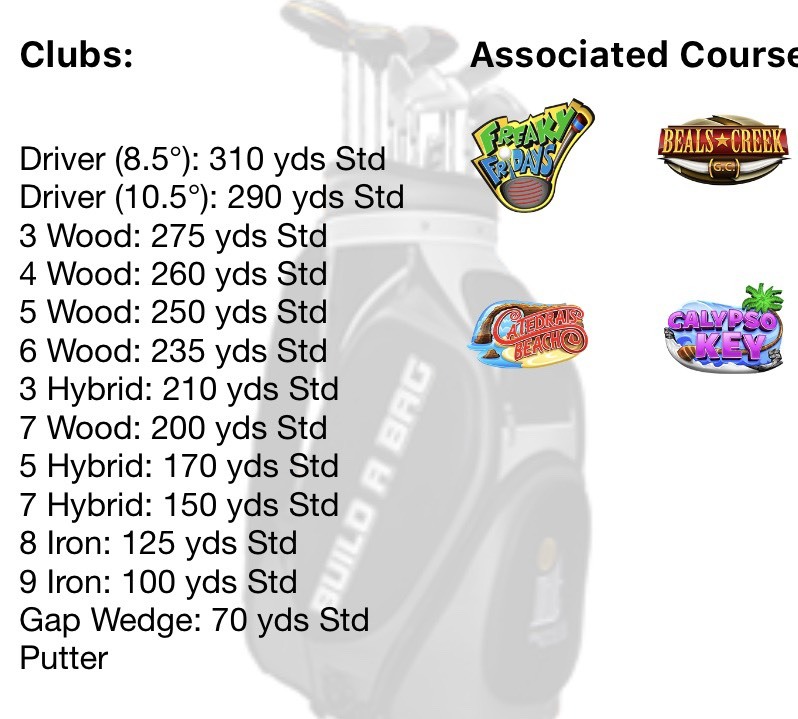 You’ll find yourself playing left and right about equally here with many combinations of woods and tees. A good tip is not to let the wind determine the direction you take as much as the pin placement. For example, in the screen shot here, you want to play around the right side since the pin is on the left. 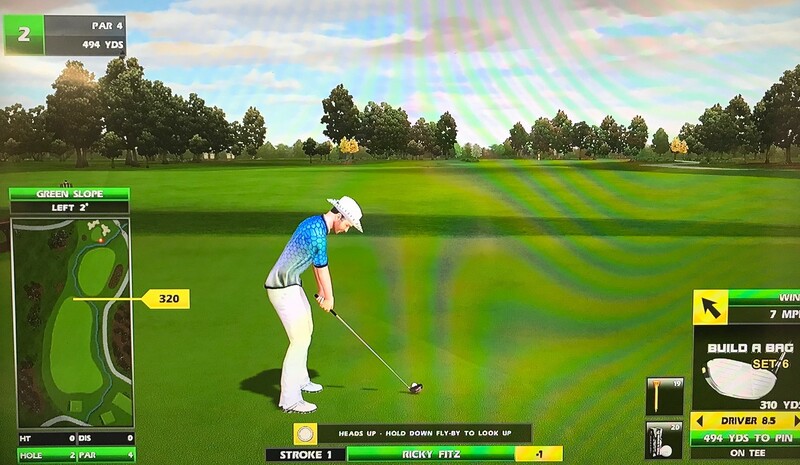 This lets you land and spin the ball back towards the cup. If you play around the right, the wind will push your ball away from the hole…it’s much harder to get it close. 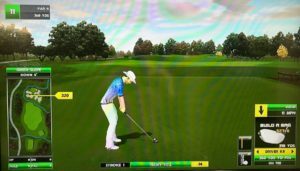 The exception to playing “with the green” may be if your tee box and pin placement are on the same side such that it’s a much straighter shot into the green…players will have an easier time controlling a small hook rather than attempting a big hook. For example, this 5-wood with backspin eases around the right side to spin back into a right cup. From the back-left, here’s a great 6-wood around the left side that finds a front pin. From the front-right, this high-teed 8W cut over and around the corner to find the hole. There’s a new tee box out left of the cart path that offers a fairly straight shot through the trees at the green from about 280 yards…here’s a 3-wood ace from there. 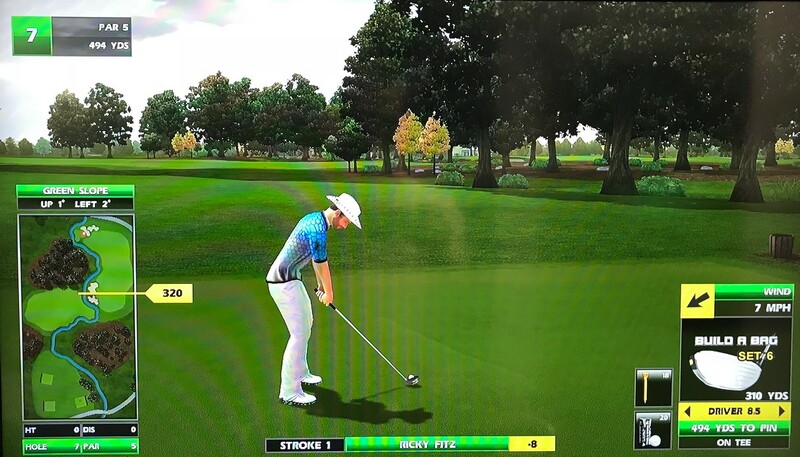 The only note here is that this hole plays slightly uphill, and the green slopes up, so you might consider a little extra strength with your approach to accommodate. From either of the back-right boxes, there are a couple routes you can take to reach the second fairway. Some looks let you just blast a high-teed driver straight over the trees. If you need more distance, you can turn left and play a high A1 drive. But you should also consider turning right and playing a C3 drive over the cart path and through those bunches of trees too…no big penalty for being short there and you don’t have to worry about carrying water! From the second fairway, here’s a hole-out with the 5-hybrid. This one is always drivable but you’ll notice considerable differences in distance. Shorter looks, or looks with a tailwind, only require a medium-teed driver with backspin. Longer looks call for a high tee where you blast a driver. In most all cases, you’ll want to aim for the stretch of rough in between the two sand traps in front of the green. If you land around here, your ball will bounce up onto the green for your eagle putt. 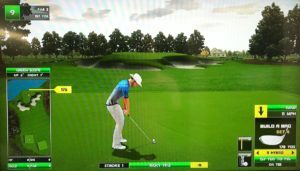 And especially with longer looks, you don’t want to be pin-hunting and come up short in the sand…make your first goal trying to hit that gap to get up on the green, and then worry about your putt. With an easier look from the front of the box, this driver with backspin finds a front pin. With a tailwind, this shot can really carry – check out this medium-teed 10.5 driver that finds a back-left pin. There are two shorter boxes and one or two longer boxes that can play almost 300 yards. This is a tougher green that definitely brings water into play, more so as you see the pin tucked away in the front or right. You can attack this pin more with the flag on the left. From the back box, this 4W with bite finds the hole. From the front-left box, this 4-iron finds the cup. 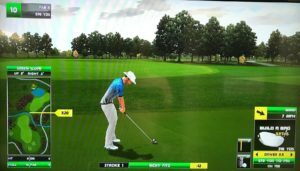 You’ll almost always be using a high tee to safely blast into the second fairway for an open approach shot. However, from the right tee box, there’s an area of rough to the right of the grove of trees that can be an option too depending on wind and pin. 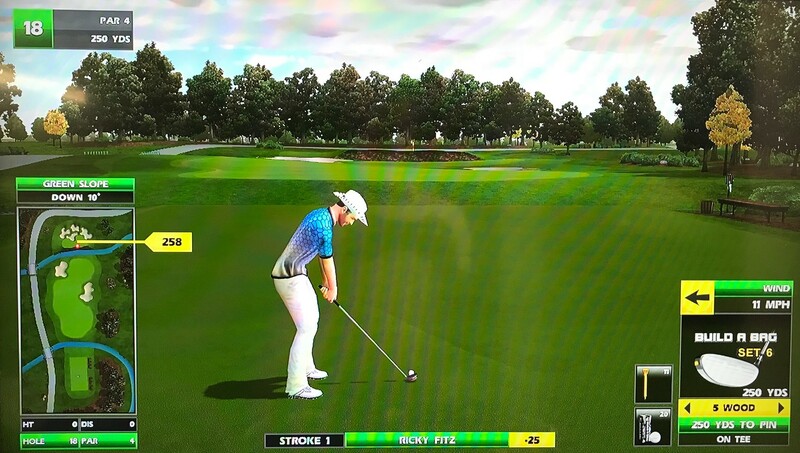 Some looks let you go straight at this green…it depends what kind of line you have and how lofted a club you can use. From the back box, here’s a high-teed 5W over the top to a back pin. And this high-teed 3W easily clears the right side of the trees to a right pin. Many times you’ll have to curve it around because the main bunch of trees is too tall in the middle. 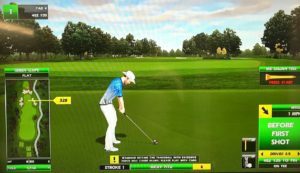 That shot is also often with a high tee. 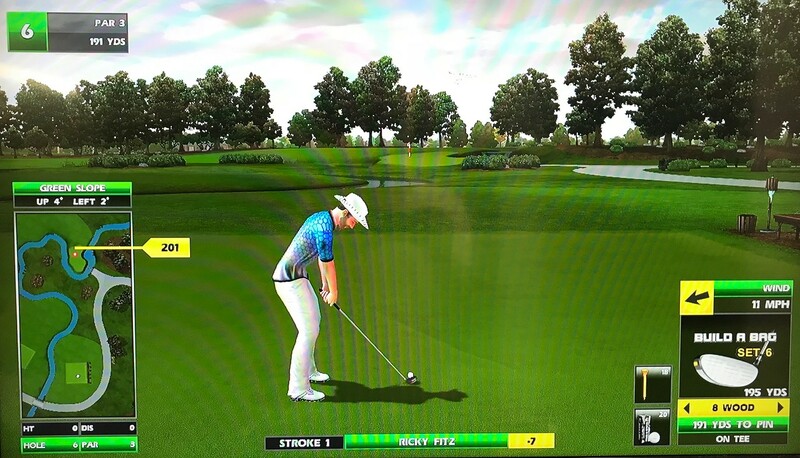 However, here’s a great 3-wood with backspin around the right to a back pin. The challenge is increased here because the wind really picks up and it’s harder to gauge your curve and distance. 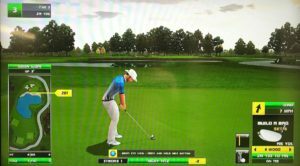 Anywhere on the green for an eagle putt is great! As usual, your first option is to blast out into the second fairway, towards the left side over the sand. This offers you a clean approach. The rough here isn’t awful either as long as you have a straight shot in, because you’ll still have enough distance. Here’s an 8W hole-out from there. There are a couple other options if you don’t think you can clear that sand to the left of the second fairway. First, the end of the first fairway is perfectly fine. From here, it’s a nice 10.5 driver straight at the green that will clear any small trees in your way. 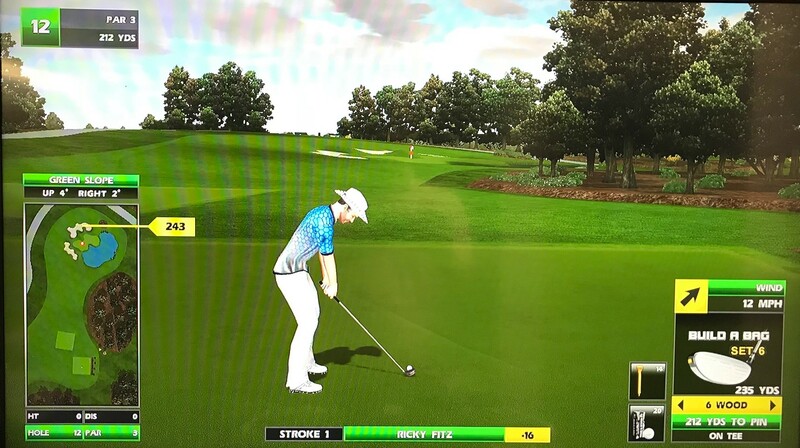 Next, you can play out to the right of the sand in the second fairway. 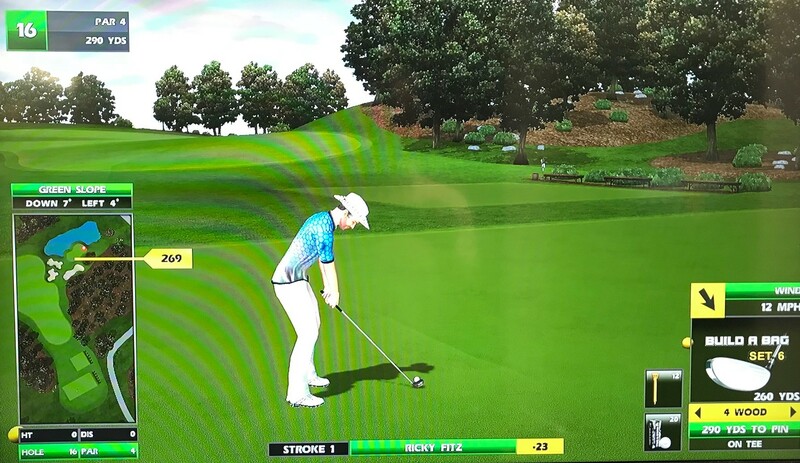 From here, you can bring it in with a wood over a dip in the trees…the rough in front of the green slopes down and helps it bounce onto the green for your putt. This is nice because it takes the water out of play. 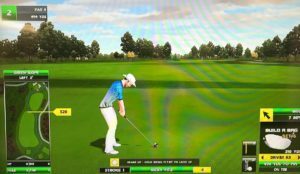 Check out this 5-wood right over the top to a front pin. Here’s one from a slightly different angle with the 6-wood, easily over the top. There’s a new tee box way up right that allows you to play the right rough as a lay-up area…here’s an example drive off the tee. Most looks have you floating a high-teed wood over the trees into the green, especially from the back boxes. 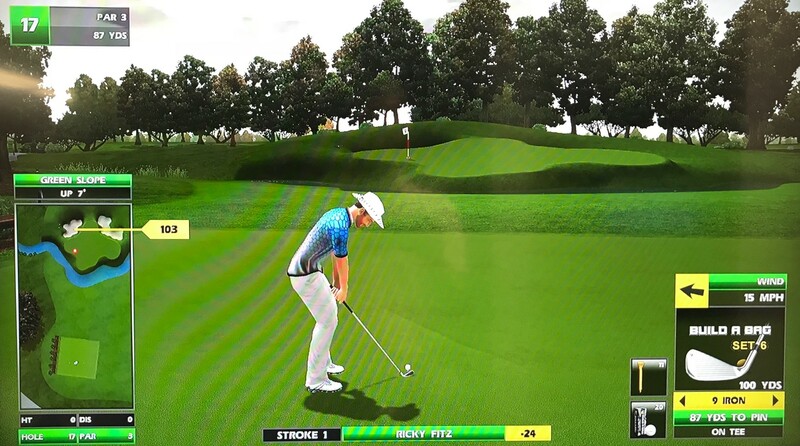 With a tailwind, you can even get by with a medium-teed 6W so that you can use backspin. Here’s one with the medium-5W that made it straight over with backspin to a back pin. From the back-center, here’s an impressive 5-wood cut over the trees into a left pin. Closer looks like from the front box might call for you to cut around the left of the trees into this green instead. There’s a new tee box out left from about 290 offering a different look at the green. With a right wind, it can be a straight shot…here’s a 5-wood ace from there. With a left wind, this 3-wood curls around and finds the hole. For a 17th hole par 3, this one usually plays pretty easy. The only issue might be a gap in clubs where you have to use a tee to adjust. When in doubt, the center of the green is a big landing area! From the front-center box, here’s the same distance and two very different shots…with a tailwind, this wedge rolls into a center pin. And with a headwind, here’s an 8-iron that settles nicely into a right pin. From the back-right box, here’s a 6-iron ace. Usually I’d say you need to be careful thumbing any shot where you’re clearing a wall with water in front, but because this shot is often a more-lofted 5W or 6W anyway, thumbing is not a bad option, especially with a tailwind. And tailwinds are what present the most trouble here…just make sure your worst case is being long in the sand for a makeable chip back up the hill…don’t get too cute with that front pin! Here’s a 5-wood with bite that settles into a back-left pin. And here’s a 4-wood thumber that spins back into a front-right pin. There’s a new tee box out left from about 230 yards — here’s a dunk from there!